I can’t remember the last time I bought a bag of rice. Who needs it when you can beautifully replace it with this superfood? 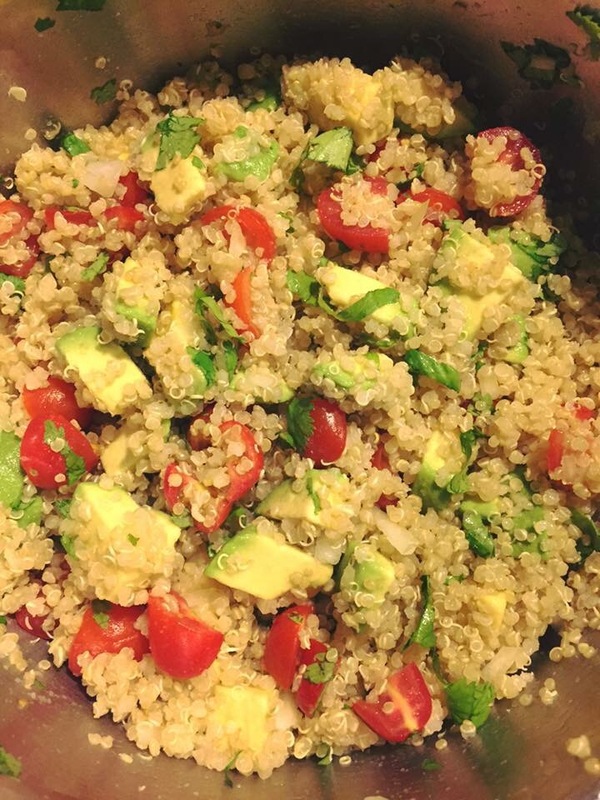 Quinoa is so fluffy and delicious and easy to prepare. Combine 1 cup quinoa with 2 cups chicken or vegetable broth, bring to a boil, cover and simmer for 25 minutes. Perfect every time!! The possibilities of quinoa are truly endless. 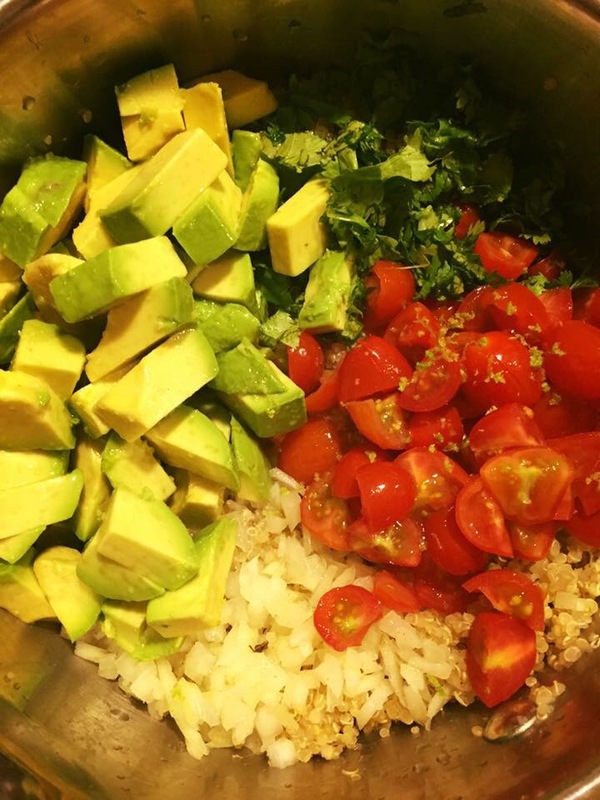 This time I added diced onions, chopped grape tomatoes, avocado, cilantro, and the zest and juice of a lime. It also mixes well with enchilada sauce, black beans, fresh corn…..basically anything you have on hand. Perfect side to any meal or top it with grilled fish, shrimp, chicken or steak and make it the main event. Oh so good!!! !